On our way from Warrnambool to Portland we went to Tower Hill Wildlife Reserve. Tower Hill formed around 30,000 years ago in a violent volcanic eruption. The initial eruption created the outer rim of the volcano, and subsequent smaller eruptions formed the internal hills that can be seen today. The inside of the crater, and the island-hills are now a wildlife reserve and there are substantial populations of native birds and wildlife. It's easy to see koalas, kangaroos, emus and much more there. During the nineteenth century Tower Hill was treated as nothing special; much of the original vegetation was cleared and the slopes used for grazing, cropping or growing vegetables. 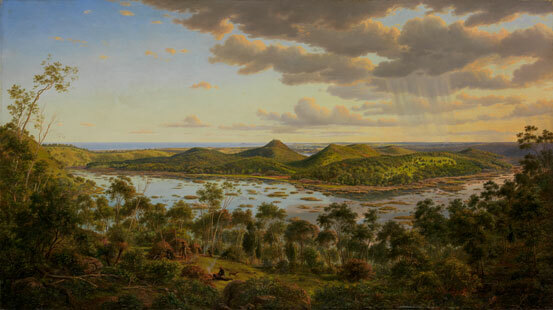 In 1892 Tower Hill was declared as Victoria's first National Park but regulations were not enforced; grazing, cropping, timber cutting and burning, quarrying and rubbish dumping continued and by 1950 the islands within the crater and the crater walls were bare, pests were common, and little wildlife remained. Tower Hill was declared a State Game Reserve in 1961 in the hope that the original condition of the crater and slopes could be restored. By then the slopes had been so seriously denuded for so long that nothing of the original vegetation remained so restoration relied on a painting by Eugene von Guerard done in 1855 and so detailed that plant species could be recognised. Identity of other species could be inferred from the habitat. Replanting of selected species continued until nearly 250,000 had been planted by 1981. Removal of introduced non-native plants and weeds has been an ongoing project. Restoration of tree fern gullies will proceed once the specialised habitat requirements of the ferns can be met. Native birds and animals have returned to the area naturally or have been deliberately introduced. It looks similar to the painting above, isn't it? As I said earlier, koalas, emus, kangaroos, sugar gliders and many species of water birds, including the graceful black swans roam freely throughout the reserve, often within clear view. We spotted emus and kangaroos there. 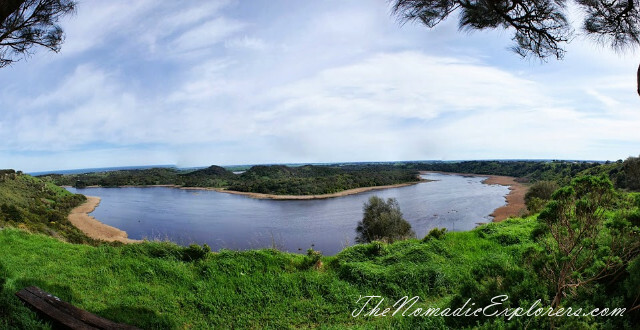 This reserve is a good place to visit, as you can drive through it and easy get to lookouts.